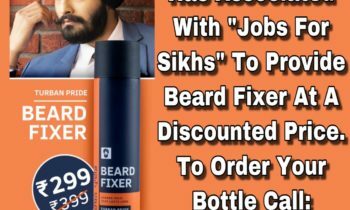 Jobs For Sikhs™ is to provide a platform to the Sikh youngsters and potential Employers to work and communicate with each other according to their needs related to job vacancies and career. 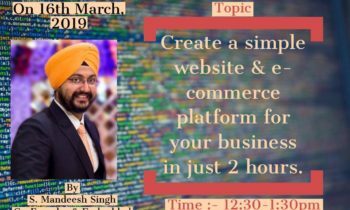 Seminar was organised on the MSME Schemes For Entrepreneurs in the 4th NOS : Networking Of Sikhs Meet which was..
“#Networking #Of #Sikhs” thank “#Happily #Unmarried #Pvt. #Ltd” for their association with Us By Providing their Premier Beard Fixer, “#Turban.. 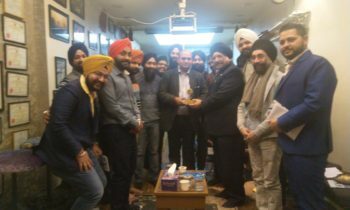 I congratulate, Helping Hand Charitable Trust, for starting the project “Jobs For Sikhs” which is the platform created to provide direct communication between Sikh jobseekers and business houses free of cost. I wish them all the best for their future.